One of the games that's been around for as long as I can remember is Battletech. I was first introduced to it as Mechwarrior II on my computer, but it's been a tabletop game (in several forms) for just as long. Well, Catalyst Game Labs has moved around some personnel to make sure it continues to grow and thrive. Catalyst Game Labs has a quartet of releases coming out in the next month+ that they'd like to tell you about. That way, you can save up your nickels and make sure you're at the game shop right as they open so you can be the first gamer on your block with these new books. If you're a fan of Battletech, Shadowrun, and/or the Valiant RPG, you'll want to check out what's coming up. Yes, yes, yes. I know that March is basically over. April will be here... well... Friday. But it just means that if you didn't know about the books released for Shadowrun and Battletech the other day, you can just run yourself out and get it. Also, you can get your finances in order for all the things releasing in April. And trust me, there's a lot. It's always pretty cool when game companies get their players involved in the game-making system. Even if you have a couple dozen playtesters for a game, there's always the chance that something can be missed. So letting a rules set go to a public beta can make it so thousands of people look over the rules. 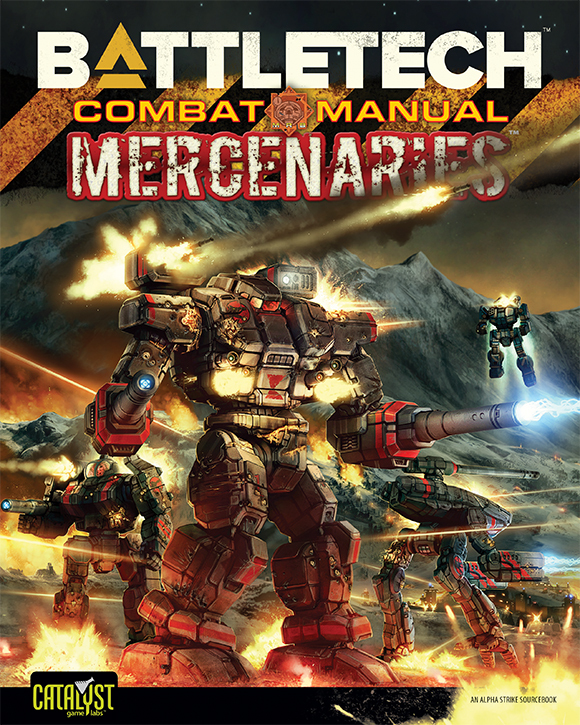 Catalyst Game Labs has done that for Combat Manual: Mercenaries, the first in a new line of sourcebooks for Alpha Strike. With the new MechWarrior game coming out from Harebrained Schemes, there's a new and revived interest in the world. Lord knows I love Mechs, and MechWarrior in-particular. It could easily be said that MechWarrior 2 was my gateway into gaming. I'd played various video games up to that point, but it was really the one that I got really involved in. With all the new interest, there's plenty of new gamers getting introduced to the Battletech universe. And with such a rich and storied gaming universe that's been around for so long, it might be hard to figure out what all has been happening. I know. I know. We don't usually cover video games on TGN. But this is one of those times where we make an exception. 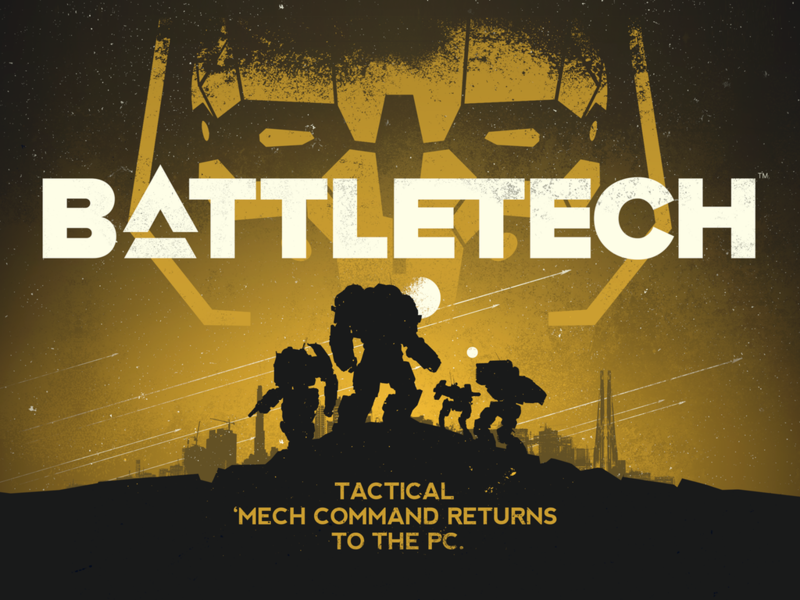 Harebrained Schemes has launched their Kickstarter campaign for a new turn-based Battletech video game. What makes this one so special? Well, Jordan Weisman is on board to help out. 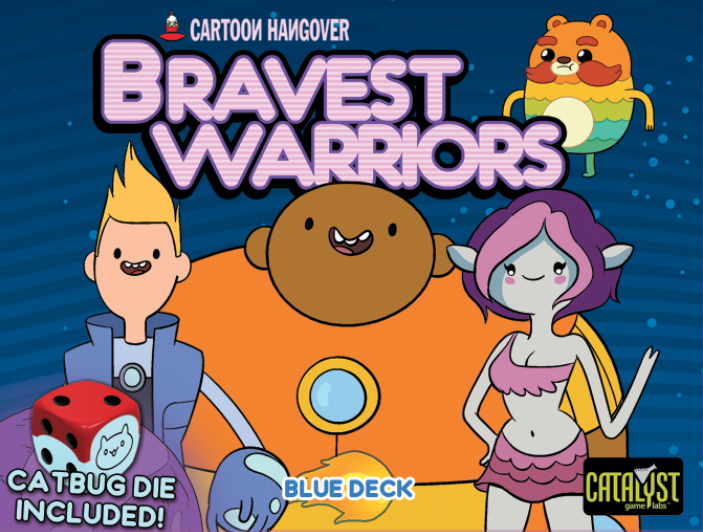 Harebrained Schemes has announced their new project that they are going to be bringing to Kickstarter. It's one that certainly I'm interested in. I spent many, many hours playing Mechwarrior 2 when I was younger. Some songs I listen to now, I still think back to those days, since I listened to them a lot while playing. 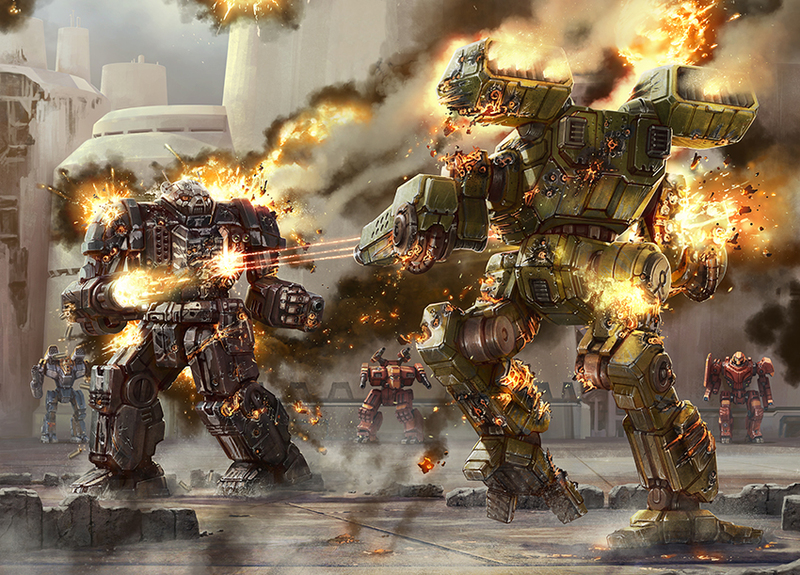 Now, Battletech is back in a new turn-based battle game. I can't wait! It just wouldn't be Gen Con without Randall and Catalyst Game Labs in attendance. As they have for the past... lots of years, they will once more be at the show and they're gonna be packed with cool stuff to see and do at booths 417, 413, 509, and 617. And now for a post that doesn't relate to Gen Con. Ok, there's a little bit of Gen Con at the very end. But it's only a little bit. 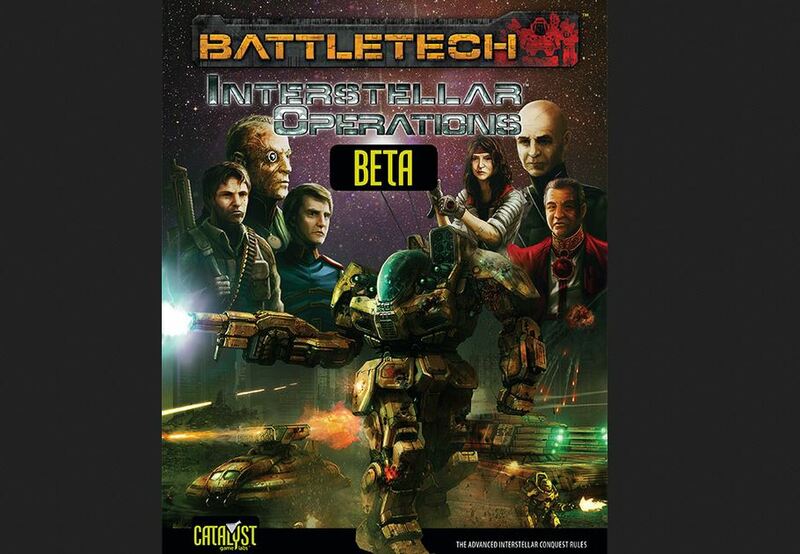 Catalyst Game Labs has a couple announcements to make about BattleTech, the biggest of which is the Beta release of Interstellar Operations, the sixth core rulebook for the game. If there was one video game I've enjoyed playing the most, it'd probably be Mechwarrior 2. While I might've played Diablo II more, I really think Mechwarrior 2 is the one I had the most fun with. As such, I've always had a love of Battletech stuff. Though, sad to say, I've never actually played the tabletop game, itself. I did a brief stint with the Dark Age version that WizKids put out. I really should look into the game more. And Catalyst Game Labs is here to help with some new Technical readouts. 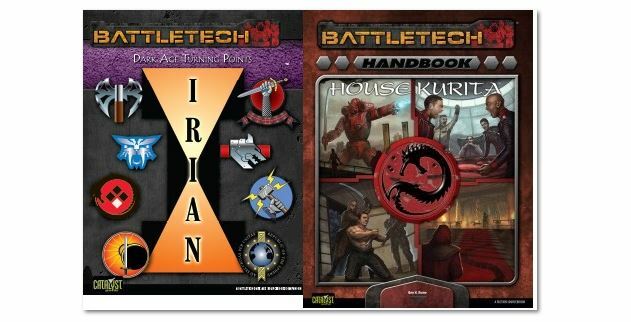 Catalyst Game Labs has a pair of new Battletech books available over in their webshop. There's the House Kurita book, that covers the history, politics, and cultures of this feared House. 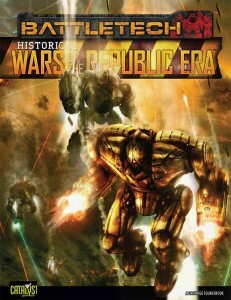 Not just a history book, though, it also covers game rules for various resources for both BattleTech and Time of War. The Turning Points: Irian book takes you to the Dark Age of BattleTech and lets you create a campaign, through individual battles, to give your system an "Irian feel" to it. Catalyst Game Labs has posted up the street dates for products they'll be releasing this month. 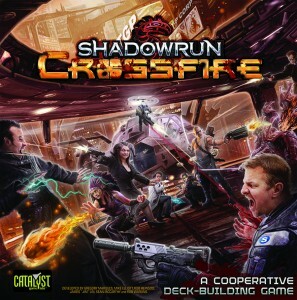 In there, we've got Shadowrun: Run Faster (in both standard and limited edition models), a book designed to expand your options with your Shadowrun character. There's also London Falling, a sourcebook for adventure in Jolly Old England. 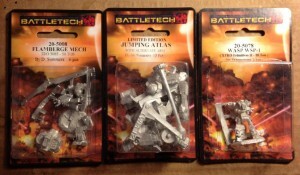 For you Battletech fans, there's a couple new lances (Battle and Support) that will be hitting store shelves. Catalyst Game Labs has posted up their November and December street dates list for various BattleTech and Shadowrun products. Catalyst Game Labs has posted up their release dates for the rest of August and into September. There's quite a lot these guys have headed your way very soon. 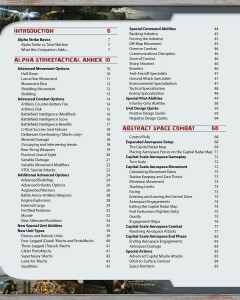 Catalyst Game Labs is showing off the table of contents for their Alpha Strike Companion. Go check out what'll be inside the book. I’ve seen a fair bit of discussion about what exactly will be in the Alpha Strike Companion. Well, the book was uploaded to the printer this week and will be available for PDF/print pre-order here in very short order, so thought I’d share the Table of Contents…can’t wait to try some of these out myself! 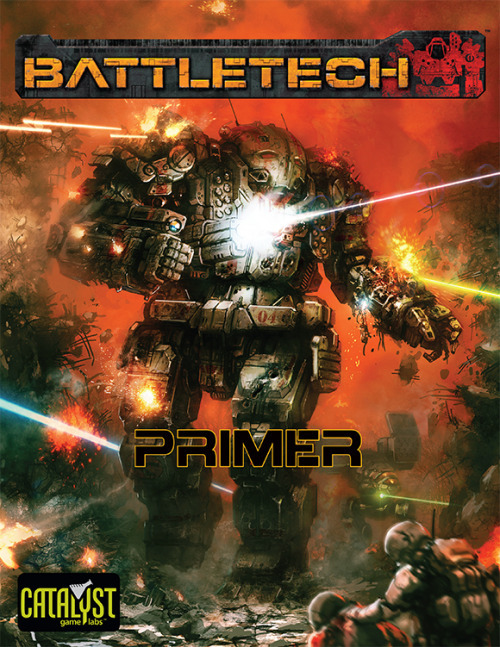 Catalyst Game Labs got some more reprints of their BattleTech introductory box sets in stock. They've also made new Lance packs to help you break into the game. 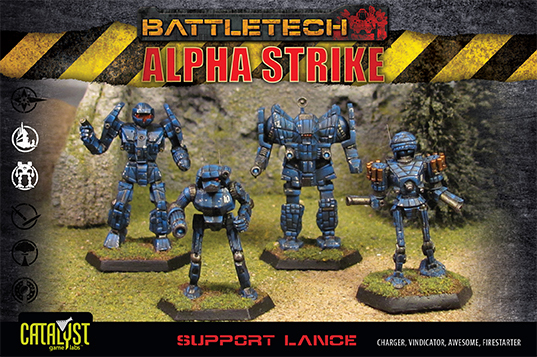 Following on that success, Catalyst Game Labs, as part of BattleTech’s 30th anniversary, is pleased to announce the launch of a line of Lance Packs, making it easier than ever to bring additional action to your gaming table. 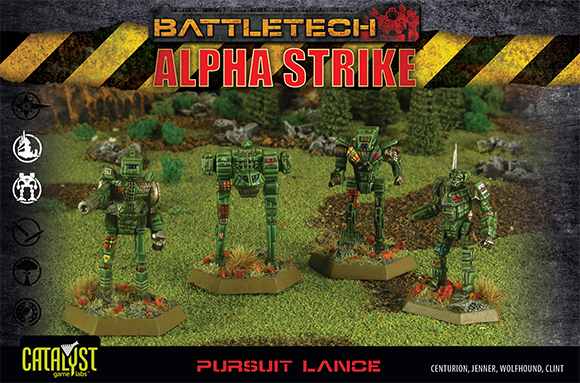 The line will start, following the return of the Introductory Box Set to retailer shelves, with the Assault Lance Pack and Pursuit Lance Pack. Future releases will occur every two to three months there after throughout 2015. 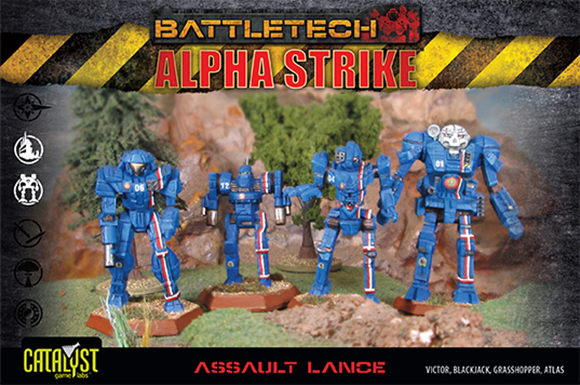 Each $19.99 Lance Pack includes four plastic BattleMechs in the same great quality as those from the Introductory Box Set. With no parts to assemble (beyond painting if you want to add your favorite camo scheme to the mix), these are ready-to-play as soon as you open a box. 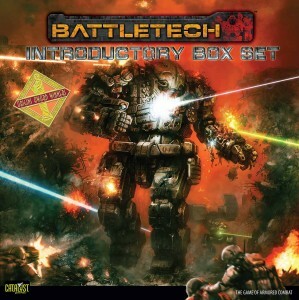 Catalyst Game Labs has released their new and improved Battletech box sets to the world. Run (don't walk) to your local gaming store and get your copy. 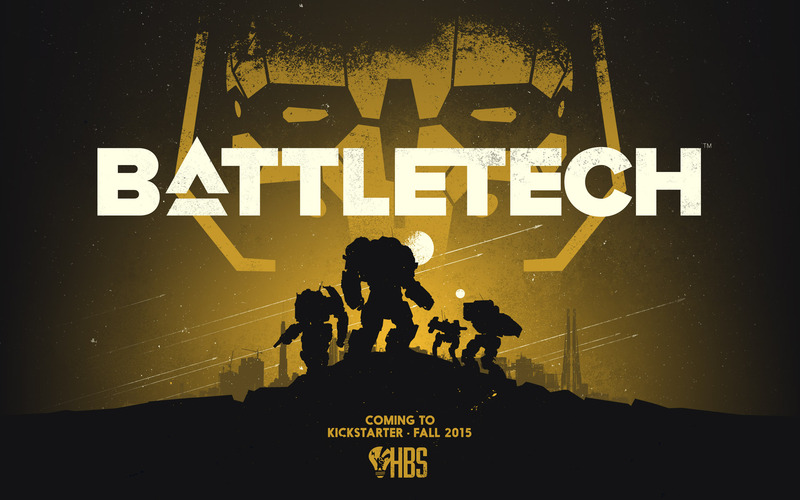 Catalyst Game Labs has started taking orders for a new introductory box set for BattleTech. They've got a special deal going on for people who put their name on the list, too. 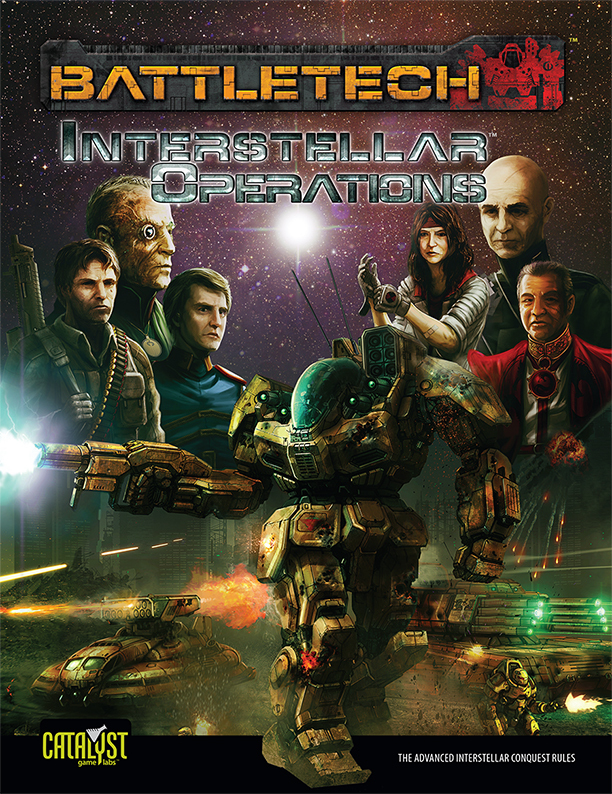 Catalyst Game Labs has some new BattleTech PDFs available to order over in their webshop. Field Report 2765 AFFS describes the state of House Davion’s Federated Suns just before the events described in Historical: Liberation of Terra, Vol I, including the overall military and logistical condition of one of the Great Houses that would eventually survive the collapse of the Star League and face a new age of endless war. WarGameGuru takes a look at trio of mechs from Ironwind Metals and gives you their thoughts on the subject. 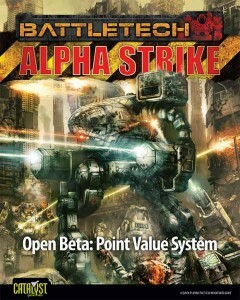 Catalyst Game Labs is running an Open Beta for the Alpha Strike point value system. Go make sure all those mechs are properly balanced. 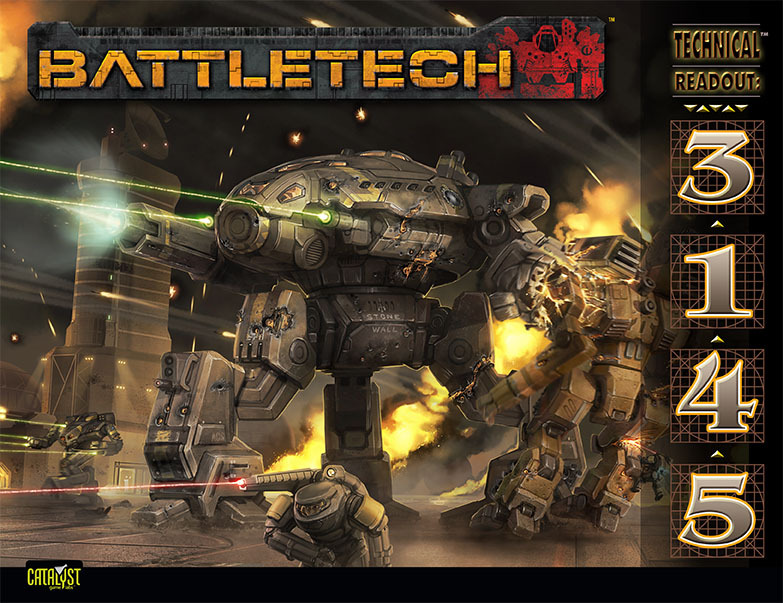 Army Builder, the popular army-creations program, has been updated with BattleTech: Alpha Strike information. Go and get your update now. If you’ve ever wanted to try out the 30-year-success of BattleTech but didn’t want to tackle all of those rules and record sheets, there’s never been a better time to dive in and give the game a try. 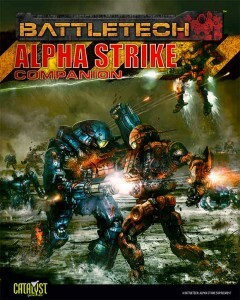 Use the following code at www.battlecorps.com/catalog during check out to receive $5 off the PDF: ALPHASTRIKEPDF. Or use the following code to receive $15 off the PDF/print combo: ALPHASTRIKECOMBO. 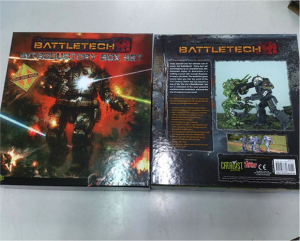 Catalyst Game Labs is showing off the box contents for the upcoming BattleTech Intro Box. No release date set yet, but soon. I got in the following photos last week to approve…then promptly got really sick. As I dig my way out of that, sharing them. The photos came in a spreadsheet from the printer to show what the exact assembly will be. I review and then approve (or ask for a modification) and the full assembly begins. Unfortunately they didn’t provide a photo of the 24 miniatures (which will be collated into the other brown corrugated cardboard insert) showing off the new sculpts (remember it’s the same miniatures, but newly done masters and much higher quality plastic). As soon as I have those to show off, I will. And no, we still don’t have a release date. Once this is on a ship I’ll announce it and that’ll give us a pretty good sense of when it’ll be available again. But thought you’d enjoy seeing it reach this stage.